How do I maximize the life of my batteries? Always keep scooter batteries fully charged. It is best to connect to your automatic maintenance charger whenever the scooters is not in use, if possible. Keep your batteries cool, with terminals and the battery itself clean. Is my scooter road legal? 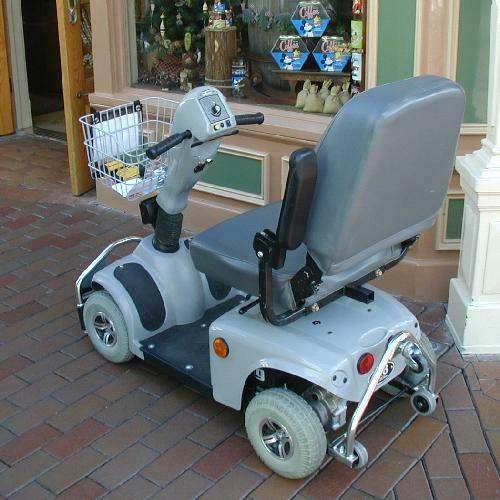 As a device intended to provide pedestrian mobility, in the USA, your scooter should be used on pedestrian pathways -- sidewalks, crosswalks, footpaths, etc. Of course, when no sidewalk is available, you may use the roadway as any other pedestrian would. In the UK, however, the larger mobility scooters that go at 8 miles per hour are legally allowed on the roads. Do I need a driver's license to drive a scooter? How far can I go on one full charge of the batteries? This depends on a number of factors including the type of battery, your weight, going up inclines, and temperature. See the scooter specifications for an approximate answer, and make a point of determining your scooter's travel radius for future reference. Can a mobility scooter be ridden outside? Yes, most scooters are suitable for both indoor and outdoor use. Some higher speed scooters are particularly well equipped for outdoor use and some, particularly four-wheeled scooters can be awkward when used in confined indoor spaces. Given daily charging, batteries normally last about 18 months. If neglected, and allowed to become entirely or nearly depleted, batteries will have a much shorter life span. Does my scooter require licensing? May one have a passenger on a scooter? 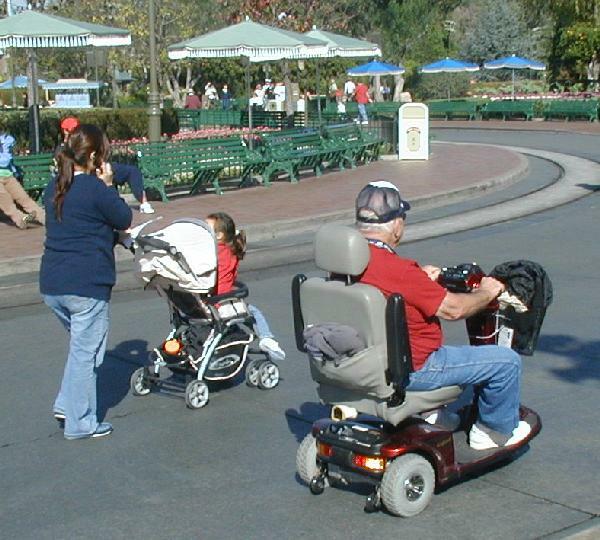 Mobility scooters are normally designed to carry only one person. Companion or assistance animals would normally be acceptable if proper accomodation is made for them. Do I need to insure my scooter? No. Insurance is not required by law. However, there is always the possibility of accident, hitting someone while trying to maneuver, finding one's scooter hijacked by a child run amok, etc. Theft may also be a problem. Insuring a mobility scooter against theft, accidental damage liability is relatively inexpensive and probably advisable. Is there a danger of battery gasses if the scooter is housed indoors? No. Sealed lead-acid batteries will not be a problem indoors. Gell cell batteries are also safe indoors. What maintenance will my scooter require? User maintenance consists only of daily battery charges and weekly tire pressure checks (when inflatable tires are used). How weather-capable is my scooter. Is snow and rain a problem? Up to a point, your scooter can handle rain and snow. Caution and slow speeds are always indicated in such situation. Heavy rain likely to penetrate to electrical controls can be a problem. Do not ride so rapidly through standing water that a wake is created which soaks the underside of your scooter. In snow deeper than a light dusting your scooter is likely to lose traction. Is it possible to take my scooter on an aeroplane? Due to potential pressure differential problems flying, use of lead-acid batteries may be prohibited. The Gel cell battery type is perfectly acceptable on aircraft but battery performance and longevity is somewhat less.